A new version 1.9 of Follow Me is available! Fixed the Summon button. It would only work if your follower was in a crowd. Now it's much more responsive. Added Map on/off. If you don't want your map to popup every time someone teleports, you can change it to only give you a TP link in your chat history. People can only steal things if they're rezzed in-world. It's not possible to steal items out of your inventory. It is possible, however, to steal an item that you're wearing (attached). If someone steals something that's copy-ok, they get an identical copy to yours (same creator, same permissions). If they steal something that's not copy-ok, then you lose your copy. Unlike CopyBot, which can't copy scripts, this exploit takes everything -- prims, textures, scripts, and all. Understandably, a lot of people are taking expensive, no-copy items back into inventory. And some people have reported losing chims that were full of no-copy anims, which is unfortunate. But, if you own an expensive Procyon game, you don't have anything to worry about. The Procyon Asset Protection system comes to the rescue! If you notice one day your game is missing, you can use your remote to get a new one. No big deal. So keep your games rezzed and available for everyone to play. If someone does steal your game, the thief won't get much. The Asset Protection System locks the game to your avatar, so when the thief tries to rez his stolen copy, it won't work. I've made one more change to the ranking algorithm. For those who don't know, the ranking algorithm is based on the same algorithm Google uses to determine its search results (which is the same algorithm SL is now using when you enter a search query in the "Find All" dialog). The change I made a couple days ago fixed a problem with points leaking out of the system, but it concentrated those points too much with people who had undefeated records. This latest tweak distributes those points evenly among everyone who's played games in the time window (two weeks). This is actually closer to what Google does for their own rankings. Samantha Poindexter has created a line of En Garde T-Shirts. Choose from a variety of witty saying guaranteed to enrage your opponent. And you don't have to say a thing! The shirts are offered as "sharewear." When you pick up a pack, you can make a donation for however much you think they are worth. Just come visit the En Garde Arena and pick up your set from her vendor there. I made a slight change in the global ranking algorithm. Previously, a player gained points by defeating other players with points. The way it was calculated, it went through each player, found the players that person "owed" points to (because that other person had beaten them), and gave them some points. So now, undefeated players keep all their points, instead of them evaporating. 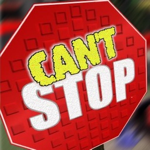 This change affects all the games with global player rankings: En Garde, Frootcake, and Danger Zone. Valentine Janus is having a huge, one-day event featuring all four Procyon games! If you play one of my games like En Garde and you haven't tried the others, here is a great chance for you to get some cross-game experience, meet new players, and have lots of fun. Go out there and give Val some support, if nothing else, because I think trying to run four tournaments all at once is a recipe for mental breakdown. The event takes place Saturday, July 12, in the Zarahemla sim. 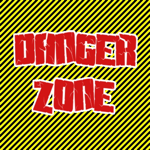 Danger Zone games will be running from 4:30AM-4:30PM. 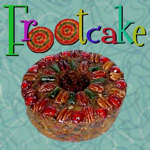 The Frootcake tournament runs from 6:30-6:30. Both Frootcake and Danger Zone will use the "Local Tournament" scoring, where every game gives you some points, you get more points for every player you beat, and your cumulative score is tracked on the scoreboard. Then, there's an En Garde tournament, of course. It will run from 1PM-4PM. And finally, Take it Easy games will be played fro 6:30-7:30PM. There are other games being played as well, including 7Seas Fishing and Show Jumping. Val will total up all your scores across all games in her Grand Champion system, to determine the top player for the day!